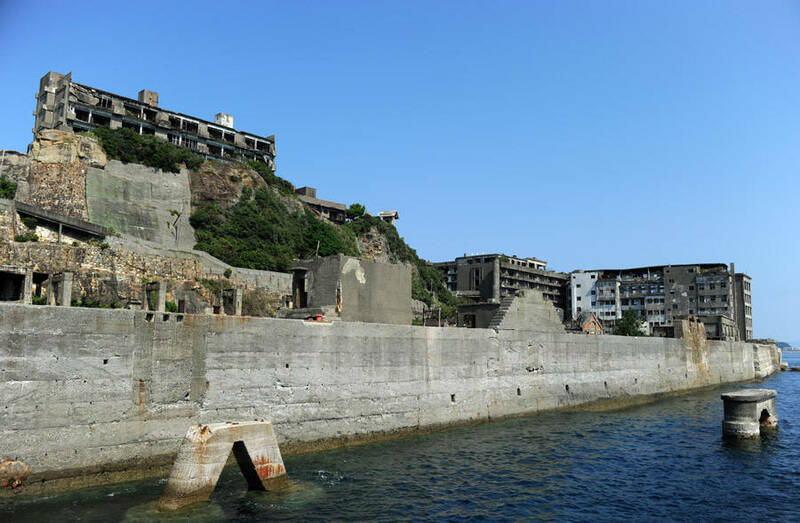 Hashima Island has a complicated history. But what's abundantly clear is that when humans leave, buildings will crumble and nature will flourish. Wikimedia CommonsHashima Island in 2008. About nine miles from the city of Nagasaki sits an abandoned island, void of inhabitants but steeped in history. Hashima Island, once a mecca for undersea coal mining, was a sharp representation of Japan‘s rapid industrialization. Also known as Gunkanjima (meaning Battleship Island) for its resemblance to a Japanese battleship, Hashima functioned as a coal facility from 1887 until 1974. Once the coal reserves started depleting and petroleum began replacing coal, the mines shut down and the people left. 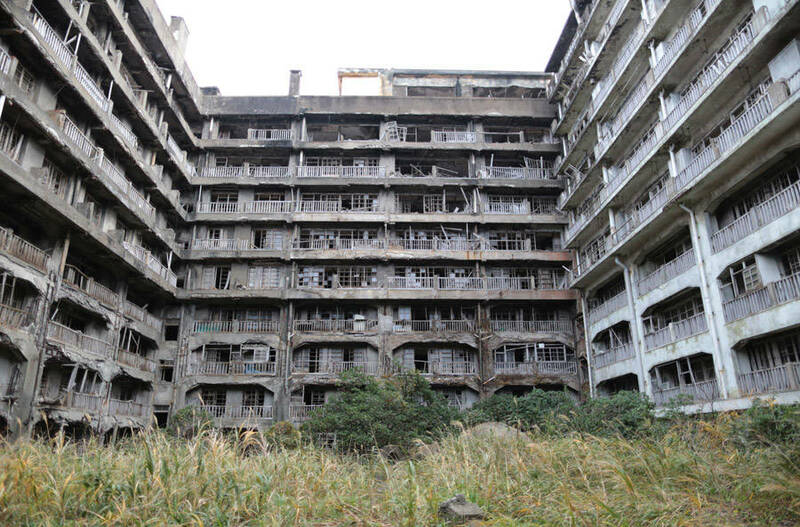 After that, Hashima Island went ignored for nearly three decades. But as abandoned concrete walls crumbled and flora flourished, the dilapidated island caught the attention of those interested in the undisturbed historic ruins. However, Hashima Island’s past isn’t that simple. During World War II, the history of the island is darker as Japanese wartime mobilization policies exploited enlisted Korean civilians and Chinese prisoners of war as forced laborers. Made to work under harsh conditions, it’s estimated that over 1,000 workers died on the island between the 1930s and the end of the war as a result of unsafe working conditions, malnutrition, and exhaustion. As a tourist site, the island was named a United Nations Educational, Scientific and Cultural Organisation (UNESCO) World Heritage Historical Site in 2015 and groups of visitors can be taken on tours. However, despite the public’s infatuation, the island’s legacy remains an enigma. It’s unclear whether the focal point of the island should revolve around its part in Japan’s industrial revolution or as a reminder of the forced laborers who had to endure excruciating circumstances. 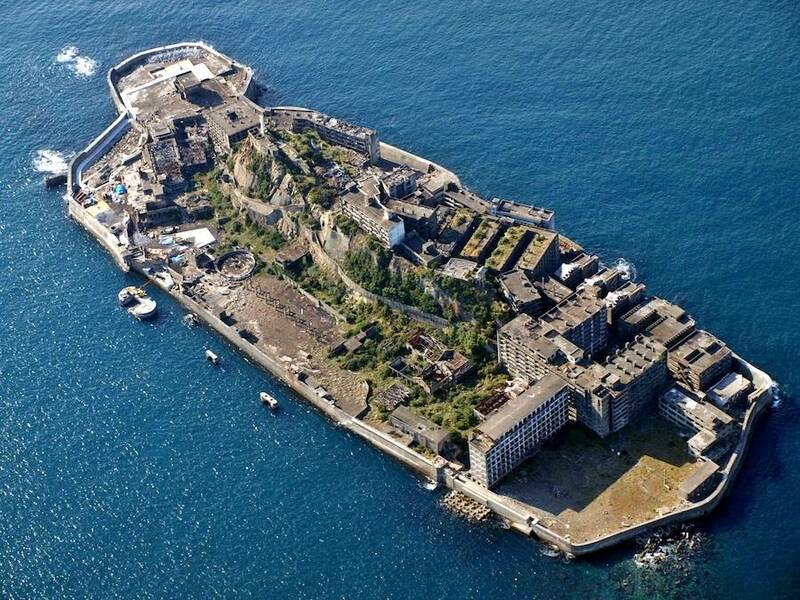 Masashi Hara/Getty ImagesHashima Island, as known as Battleship island. Coal was first discovered on the 16-acre island in the early 1800s. In an attempt to catch up with western colonial powers, Japan embarked on a period of rapid industrial development starting in the mid-1800s and utilized Hashima Island for the endeavor. After Mitsubishi bought the island in 1890, the company consequently developed seawalls and began extracting coal as Japan’s first major undersea coal exploitation. In 1916, a seven-floor apartment block (Japan’s first large reinforced concrete building) was built for the miners. To protect against typhoon damage, sturdy concrete was used to create apartment complexes, a school, and a hospital for the growing community. Wikimedia CommonsMap pointing out where Hashima Island is located. 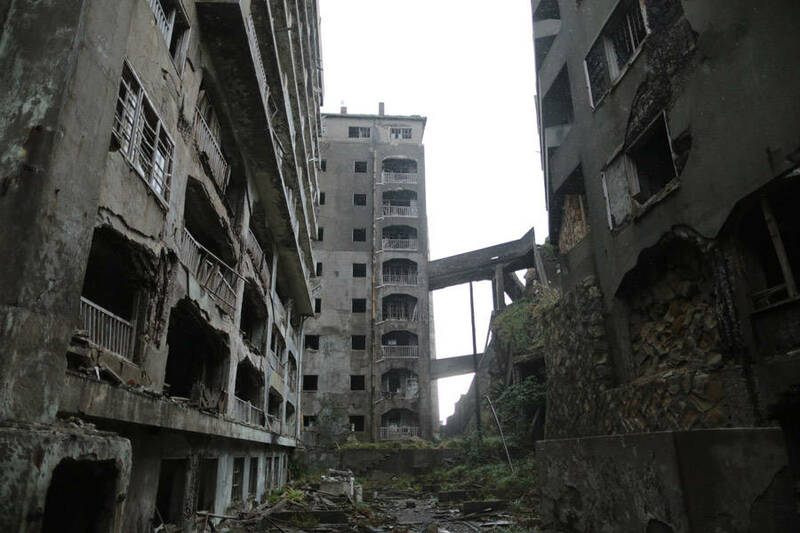 While thriving as a coal mining facility, Hashima Island was home to thousands. In 1959, it reached its peak population of 5,259 residents. In the 1960s, coal mines across the country began closing as petroleum became its number one replacement. In January 1974, Mitsubishi closed the Hashima mines for good. Of course, when the operations ceased, the people left too. In just three months, the island cleared out. With nobody left to maintain the structures after the island was deserted, many of them collapsed and decayed into rubble over time. Even after the population dropped to zero, Mitsubishi maintained ownership of the island. In 2002, they transferred it to Takashima Town, which was absorbed by the city of Nagasaki in 2005. After collapsed walls were restored, the island and its undisturbed housing complexes opened to tourists in 2009. The unique setup of the island, particularly the density of crammed buildings that have undergone weathering from corrosive seawater, has made it a popular destination. Yuriko Nakao/Getty ImagesBuildings built to maximize the limited space and light stand in the restricted area of Hashima Island or commonly called Gunkanjima or Battleship Island. Noguchi, along with a team of other researchers, began scaling the island in 2011 to see how the crumblings buildings could be saved. Despite its booming tourist business and film appearances (including James Bond’s Skyfall), a vast majority of the island remains off-limits to visitors, as the massive investments needed to ensure the safety of the aged buildings would ultimately jeopardize the historical state of the property. 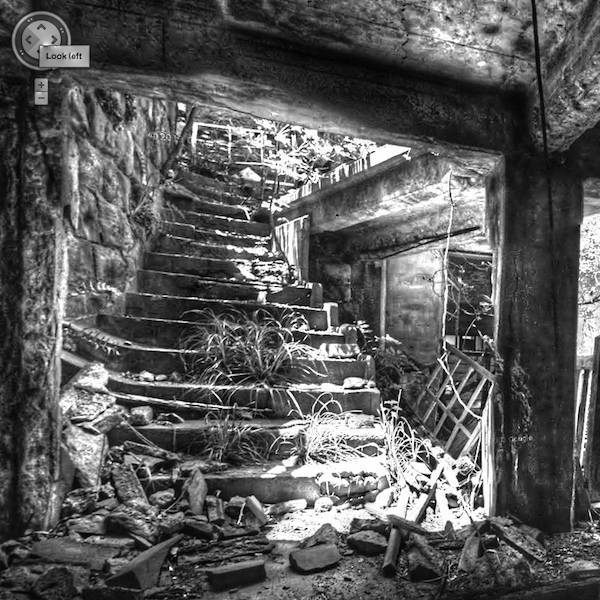 The harrowing experiences of the slave laborers add an entirely different kind of eeriness to Hashima Island. After Japan colonized Korea and invaded China, they used recruited labor in the 1930s and 1940s to force thousands of people to work the mines. Past workers have recounted their time with grim details, describing the conditions as grueling and inhumane. The weather was humid and food was scarce. If they slacked, they were beaten. Local records state that 123 Korean people and 15 Chinese people died on the island between 1925 and 1945. 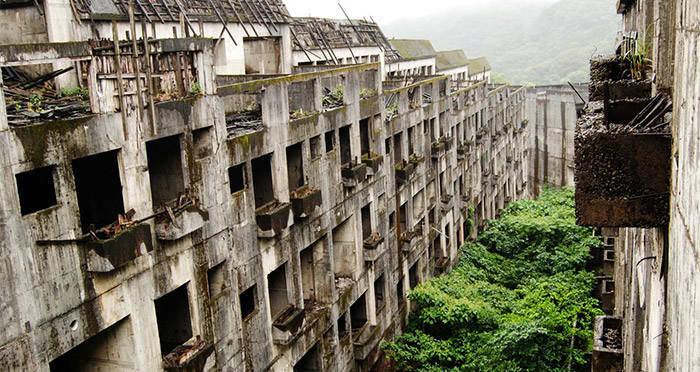 Yuriko Nakao/Getty Images‘Building 65,’ the largest dormitory building for workers on Hashima Island. While the initial bid to be included in the UNESCO’s list of World Heritage Sites covered the industrialization feats of the island from the 1850s to 1910, it made no mention of the Korean and Chinese forced laborers. Due to Hashima Island’s association with wartime slave laborers, South Korea formally objected to its bid for recognition. At the WHC meeting in July 2015, Japan’s ambassador to UNESCO, Kuni Sato, acknowledged that “a large number of Koreans and others” were “forced to work under harsh conditions in the 1940s at some of the sites.” She also promised that an information center would be set up explaining the history and circumstances of the laborers at the site. FlickrGoogle Street View of the abandoned coal factory at Hashima Island. The history enclosed behind the seawalls of Hashima Island is a lot of things: rich, complex, devastating. One thing that is clear: the Japanese enclave is a testament to how, in an abandoned area, nature and industry interact. 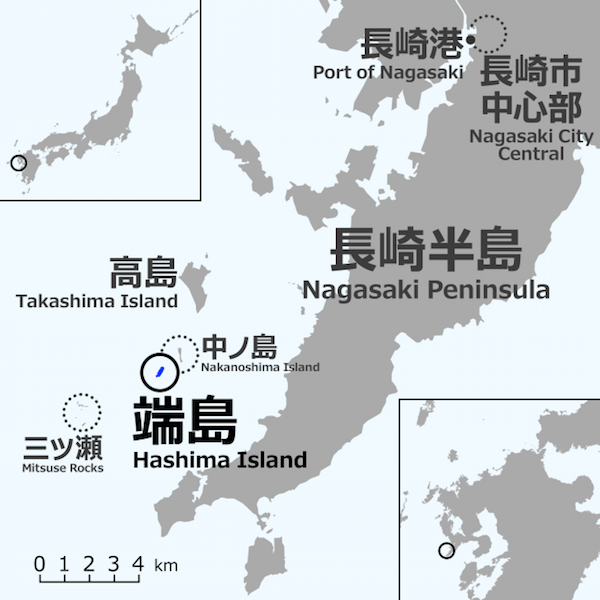 After learning about Hashima Island, also known as Gunkanjima, read about Goqui Island, which was also claimed by nature. Then take a look inside Stalin’s infamous “Cannibal Island”.